On August 31, 2016, Lebanon Police, in cooperation with the New Hampshire Attorney General’s Drug Task Force, received intelligence that Mark Churchill, age 32, last known to be living in Springfield, NH was traveling to Lebanon with a quantity of heroin. At approximately 3:45 pm on that date, police located a vehicle on Heater Road which Churchill was driving. Churchill was arrested and charged with one count of Possession of a Narcotic Drug, a Class B Felony, and one count of a Class A misdemeanor, Possession of Marijuana. 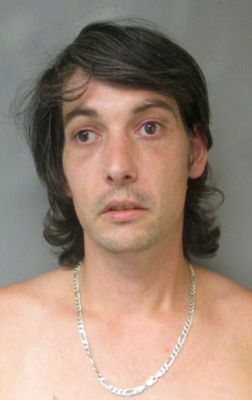 Griswold was arrested and charged with one count of Possession of a Narcotic Drug, a Class B Felony. Both were released on $10,000 personal recognizance bail with an arraignment date of November 7, 2016 at the Lebanon District Division, New Hampshire Second Circuit Court. Decamp was released on scene but given a summons for one count of a Class A Misdemeanor, Possession of Marijuana. His arraignment date is October 24, 2016 at the Lebanon District Division, New Hampshire Second Circuit Court.